at The Yost Theater in Southern California. 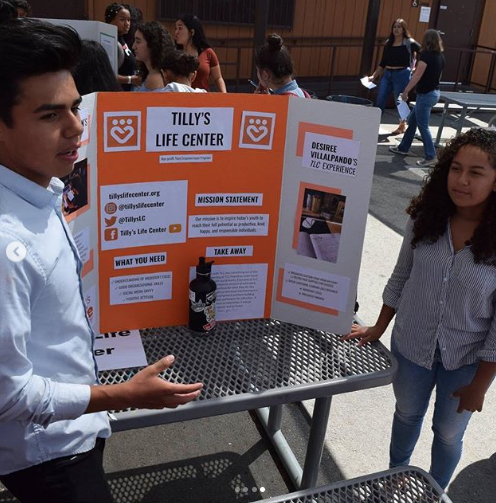 Tilly’s Life Center aka TLC is a youth-focused nonprofit empowerment program for teens helping to change attitudes and mindsets in order to overcome adversity and ultimately find happiness and success. I’ve been blogging about TLC for years because I 110% believe in what they are doing. 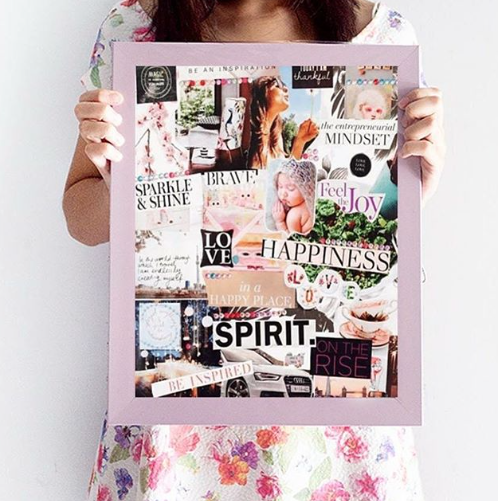 As a teen, I know how stressful life can be and how tools can make the difference. 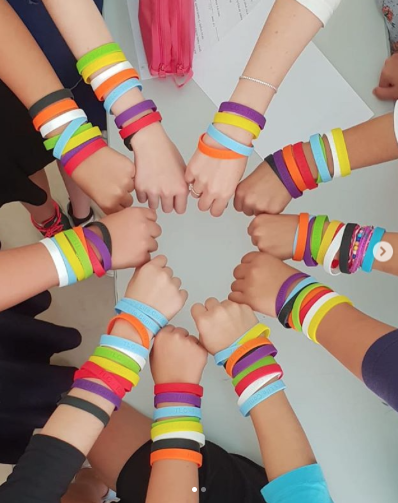 I wish that my school had the TLC program which started in schools and other institutions throughout California and is now available throughout the world – yes TLC Israel has launched! For details on the TLC program click here. 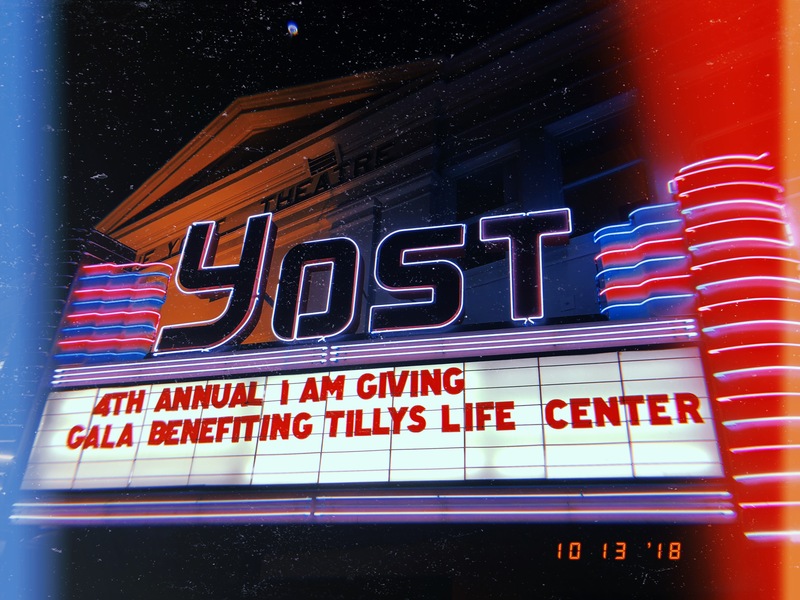 All of this started when Tilly Levine took the time to share what works for her and continues because of all the people who continue to give. 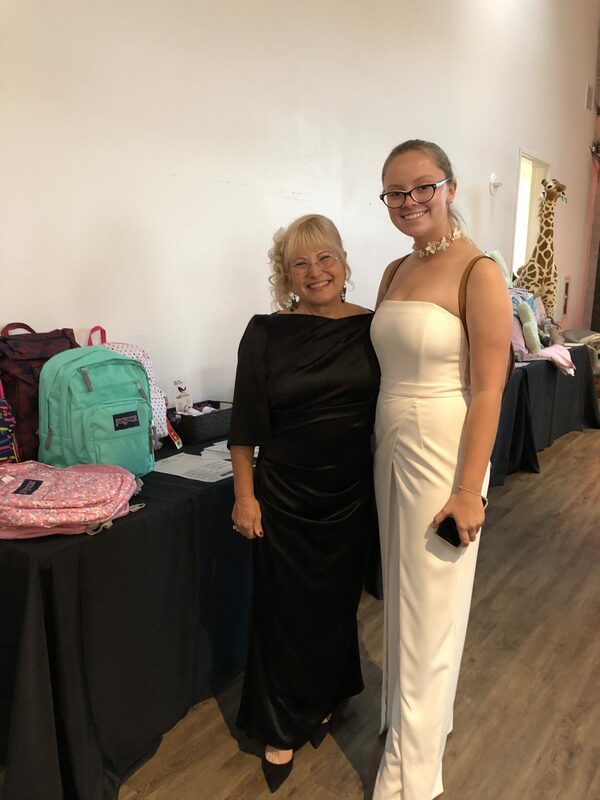 I had the pleasure to catch up with Tilly before the gala and here’s what she had to share. SF: Since last year what are your proudest TLC accomplishments? Tilly: I’m most proud of our amazing growth. This year we helped 1,600 students, which is a 40% growth. TLC was in 13 high schools and 12 other organizations. We are impacting an entire range of kids, not just teens at risk. TLC is for everybody because everyone can gain from empowerment skills. We are introducing the program in the Simon’s Academy in Indianapolis next month. So, the growth is continuing and I couldn’t be more excited. SF: Why do you continue to be so committed to TLC? 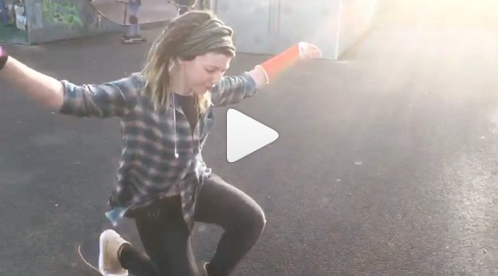 Tilly: I feel that as adults it is our responsibility to give the right skills to our youth. How to deal with their thoughts, feelings, moods, and behaviors. The curriculum we developed is providing the skills that develop social and emotional intelligence. Helping them handle their life in a responsible and positive way will positively impact their life and the lives of others. I consider this generation a hero generation. The youth today has so much power with social media. The can make this world a better place if we give them the right tools. SF: What is your number one goal for next year? Tilly: We are in the process of creating a documentary. It is not completely dialed in yet but that’s the goal. SF: What is the process for selecting the “I am one of a kind award” and the “I am inspiring award”? Tilly: People that actually make a difference in youth life. We love to see and share the stories of how teens are able to grow, learn, and succeed because others took the time to teach and invest in them. Whatever you’re doing today, I hope you take time out to check out what TLC is doing. Check them out to give and more importantly check them out so you can grow too. 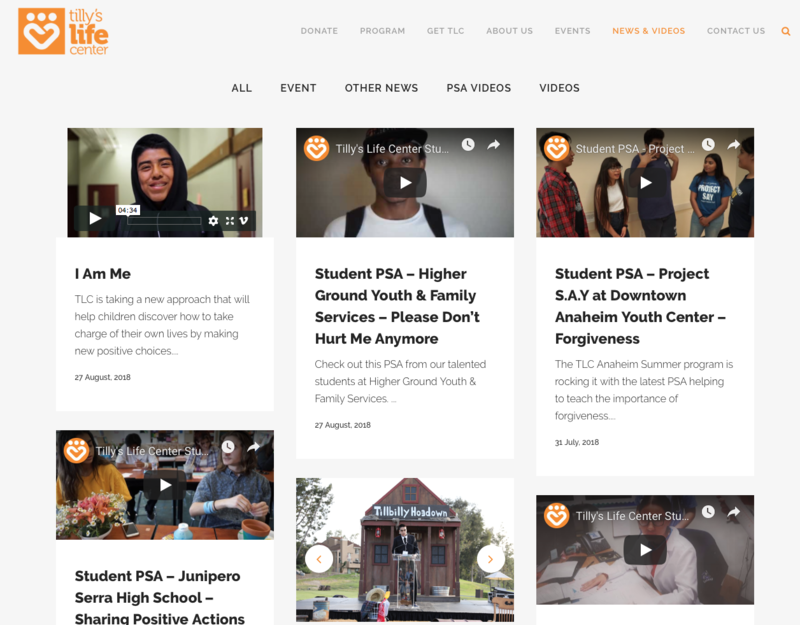 Their IG has tips on how you can stay motivated and their website has a collection of PSAs from TLC students that help address the problems teens face daily. Till next time keep it stylish on & off the board. Please share how you’re keeping it stylish and who is helping you. We all grow when we know about TLC and programs like it. What are you up to this Monday? Wherever you are this Monday, I hope you have a chance to get out there and have fun skateboarding. For me it’s finals weeks, so I’ll have to make the time. Breaks after all are essential to overall health. 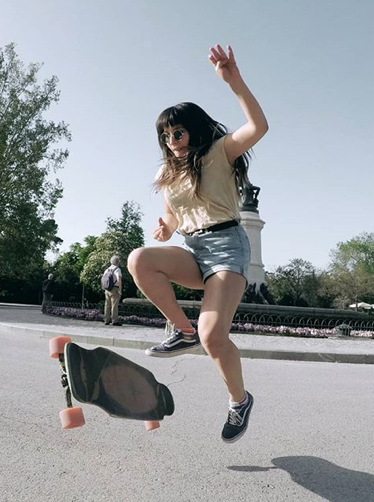 Sol is based in Madrid, Spain – where are you having fun skateboarding? More girls skate when they see stylish girls having fun skating and when we encourage each other. Skating and encouragement are universal! New week 🌞🏄😎You👦 & Me👩, Me & You💜! Every week is a new week to make the most of your life with the ones you love. 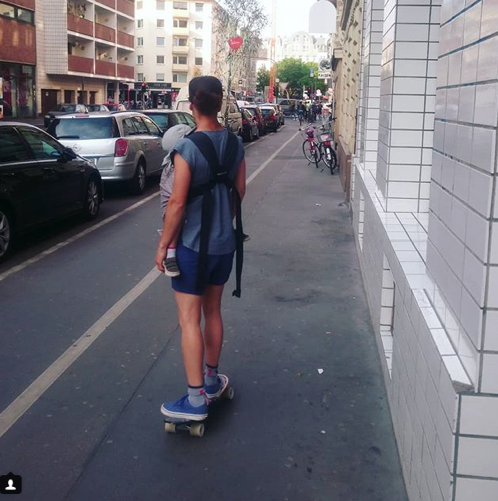 Elsa is a mom & skateboarder in Cologne, Germany. We all get busy. Posts take longer to get written because I have to put school first, but it’s important to remember to never get too busy to enjoy doing the things we love and spending time with the people we love. If you missed out last week then make the time this week to get out there and have fun skateboarding with friends. Happy Monday & Happy Week! First pumptracksession😀 with the girls! in November 2017. I’m very sorry for being so late in posting. Another place you can find her skating with the girls is downhill. 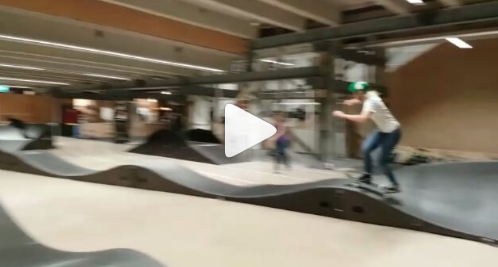 Where do you have fun skating with your friends? There’s so many ways and places to skateboard. Be sure to check out Janine plus her crews Band of Boarders downhill skaters from Switzerland and Bam Bam Skate. More girls skateboard when they see girls having fun and they receive encouragement, so I hope you share where and with whom you’re skating soon. 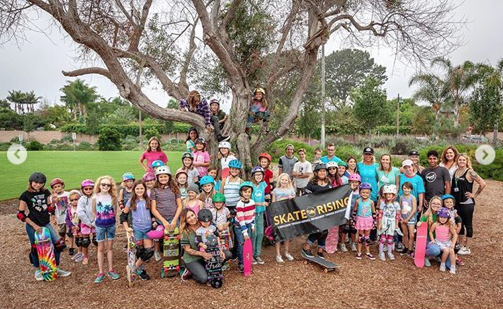 Skate Rising, EXPOSURE Skate’s youth program for girls, had a fabulous turnout at their September monthly event. 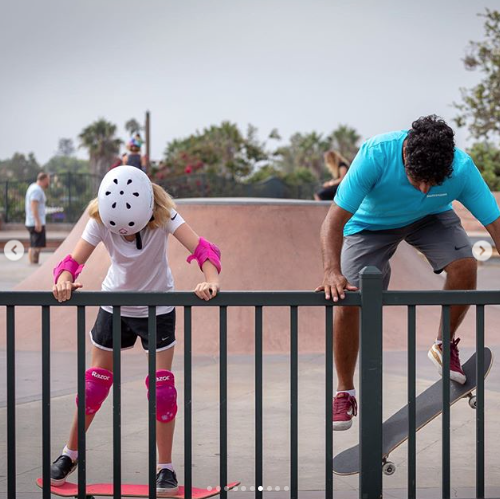 The free event held at the Encinitas Community Park was attended by locals – including the Encinitas Mayor Catherine Blakespear – and visitors from as far away as Canada. Above Yash from Impact Skate Club visited from Canada. He and Catherine taught participants about the importance of making plans to achieve your dreams. 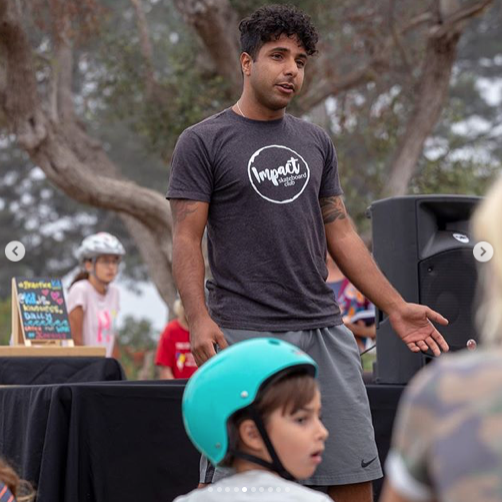 Impact Skate Club worked with Skate Rising on International Day of Service this past summer, so it was awesome to have the opportunity to meet and skateboard with Yash here in Encinitas. 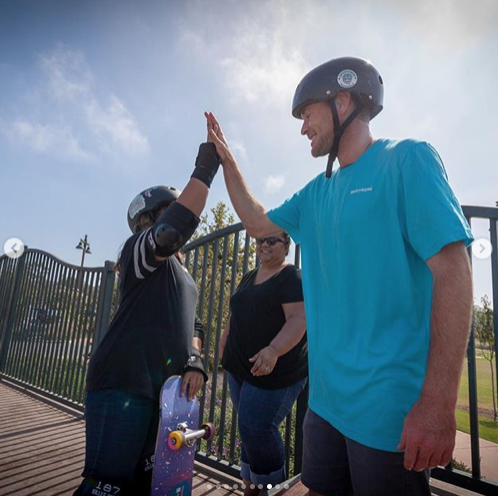 Skateboarding is fun the world over and especially fun if you are able to skate with friends who encourage you. 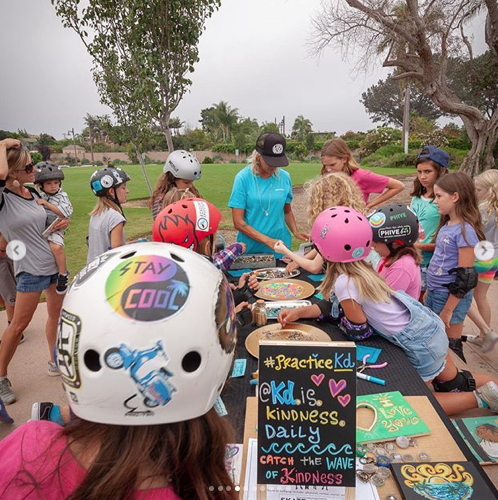 In addition to skateboarding the girls made a craft with KD is Kindness Daily and supported San Diego Community Resource Center. fight hunger, homelessness and domestic violence in San Diego! 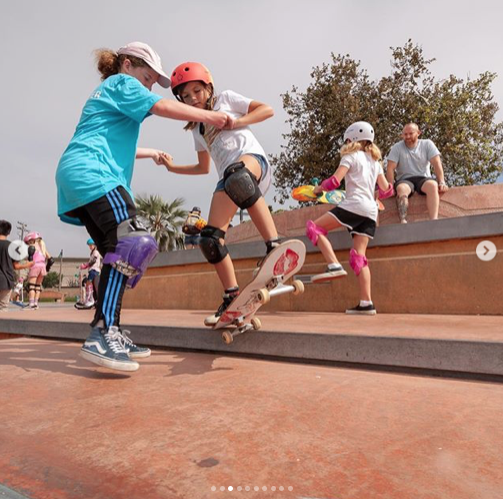 Skate Rising’s next monthly event is Saturday October 13th from 9-11am at the Encinitas Skate Plaza. I hope you come to join in all the fun. If you’ve never skateboarded before, there are volunteers to help and thanks to sponsors like SkateXS and My Grey Matterz there’s loner equipment. So no excuses, just opportunities to come out, make friends, work on a community project, and of course skateboard with encouragement. I love Mimi’s determination. Skateboarding can look so elegant but before the elegance is practice, practice, practice. The practice might not be pretty, falling can be frequent, but it will pay off. Allow yourself to learn from your mistakes. May the voice in your head be patient, understanding, and clever to learn what to do differently the next time. 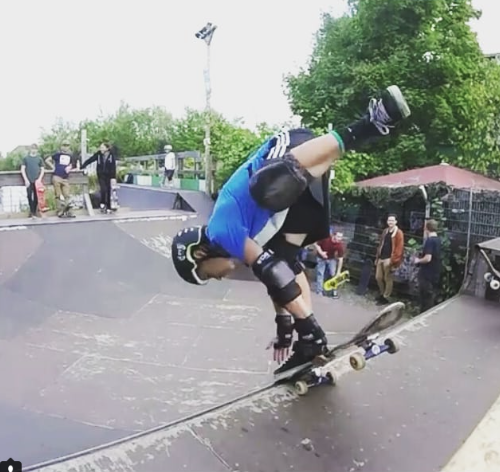 Mimi is having fun skating North of England in the UK. 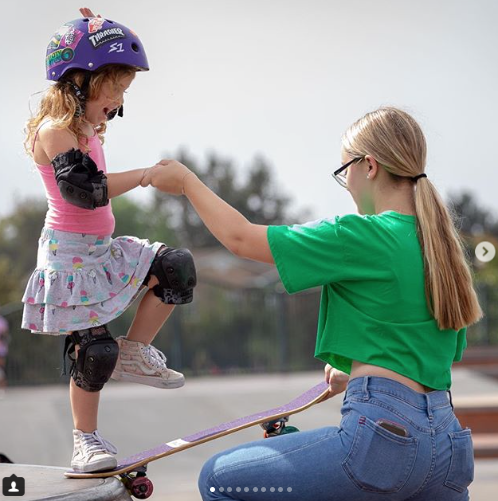 More girls skateboard when they see girls having fun skating and the skills they learn on the board (determination, patience) help them 24/7!